If Apple and Google can launch their own smartphones, can Microsoft be left behind? Not likely, if one goes by the internet buzz that the Redmond-based software giant is partnering original device manufacturers and mobile service providers like Verizon to launch a cellphone by mid-2010. A techie blog site, Gizmodo, broke the news with snapshots of the mobile device, after which cyberspace is being flooded with news that Microsoft is working on an internal project titled 'Pink'. 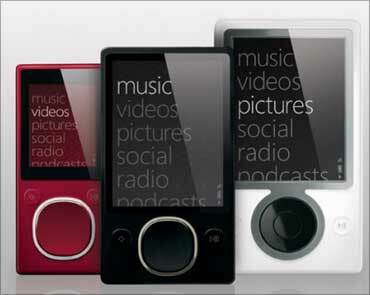 "We think Microsoft is partnering with a few ODM manufactures to create the Zune-like phone, which includes 720p HD video and at least a 5 mega pixel camera," a senior technology analyst based in Hong Kong told Business Standard on condition of anonymity. 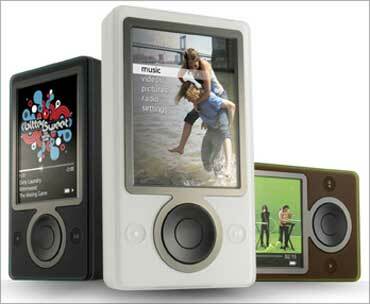 Zune is Microsoft's portable media player, which competes with Apple's ipod players. Asked about the development, a Microsoft spokesperson said: "We will not comment on speculation." This even as sources close to the development say Google is planning to introduce a trimmed-down version of its Nexus One phone in India along with its Taiwan-based handset partner HTC. Google spokesperson, when contacted, declined to comment. 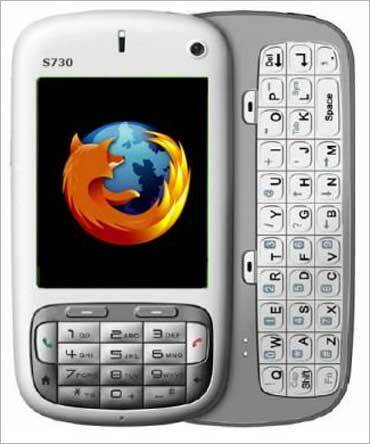 The project includes a premium mobile services platform and one or more Windows Mobile devices (names doing the rounds are 'Pure' - though HTC already sells a mobile device called Pure -- and 'Turtle') based on a version of its Windows Mobile Series 7, and bundled together with services -- perhaps similar to those found on Microsoft's Zune HD music player. The phones are expected to primarily target the younger generation hooked on social networking. 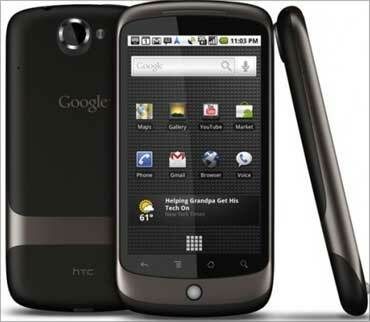 Analysts believe OEM partnerships are likely be similar to Google's partnership with HTC to launch the Google Nexus One phone. 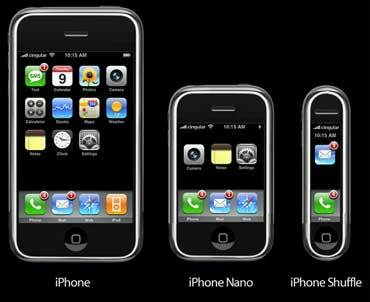 Apple, on its part, has the popular iPhone. "It makes complete sense for Microsoft to launch mobile devices," reasons Diptarup Chakraborti, principal research analyst at Gartner. Microsoft earns nearly 90 per cent of its revenues from PCs, which are rapidly losing their share to internet-ready mobile devices. "In just 3 years, mobile phones will become the dominant gateway to surf the internet and Microsoft needs to get in the space with its own operating system and supporting hardware," says Chakraborti, adding, "No other mobile phone vendor can compete with the retailing muscle of Microsoft." "To win in today's environment, a company needs not only an operating system but also device support, an application store, a broad portfolio of applications and support from the developer community. While Windows Mobile is losing some share to competitors in 2009, most of the alternatives cannot match Microsoft's complete suite of offerings," explains an iSuppli analyst. Microsoft CEO Steve Ballmer had hinted at the likelihood of such a phone during the recent World Mobile Congress in Barcelona. During a presentation when unveiling Windows Phone 7, he said, "...in a crowded market filled with phones that look the same and do the same things, I challenged the team to deliver a different kind of mobile experience." By 2013, 67.9 million smartphones will use the Windows Mobile operating system, up from 27.7 million in 2009, according to iSuppli. This will give Windows Mobile a 15.3 per cent share of the global market in 2013, second only to the Symbian operating system, which will control 47.6 per cent. The smart phone user base in India is estimated at 10 to 15 per cent of the total mobile market which is a little over 540 million currently. Consumer electronics major, Sony, has also hinted at the possible creation of a playstation phone at the recently-concluded Mobile World Congress held in Barcelona.